← A big pile of cupcakes! 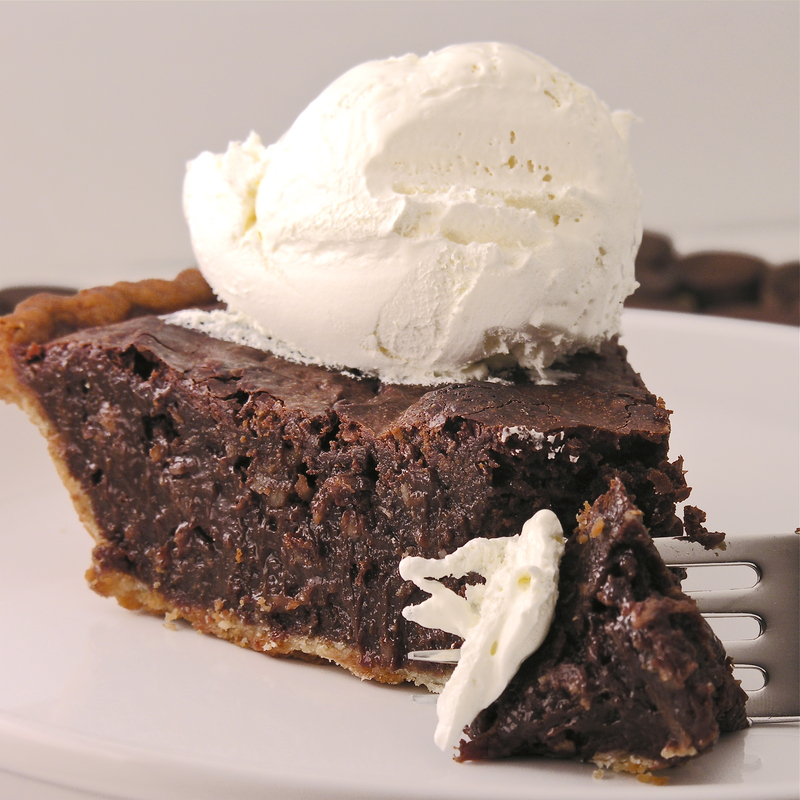 This rich chocolate pie is filled with creamy chocolate and coconut, and it is SO easy to make! 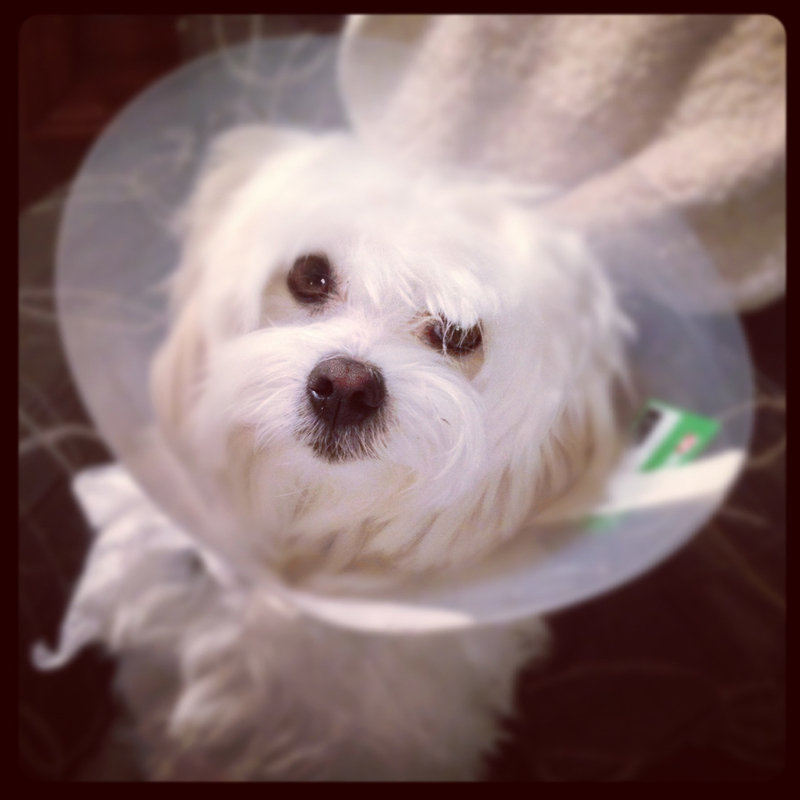 Poor Casper in his cone of shame! This recipe just couldn’t be easier, and easy is what I needed this week! Our family likes to eat at a wonderful Amish restaurant called Das Dutchmen Essenhaus and they have a german chocolate pie there that is AMAZING. It is by far my favorite pie. I’ve been looking for recipes that come close to recreating this pie and so far I’ve had no luck duplicating it. This recipe is worth noting though, as it is easy and really yummy. It is sooooo rich- serve it with ice cream or whipped topping, and in small slices. In a saucepan, melt chocolate and butter over medium heat. Add sweetened condensed milk, coconut, eggs and sugar. Stir until blended. Set pie on a cookie sheet and bake in a preheated 400 deg oven for 30 -40min. Cool or serve warm with a dollop of whipped cream or ice-cream. 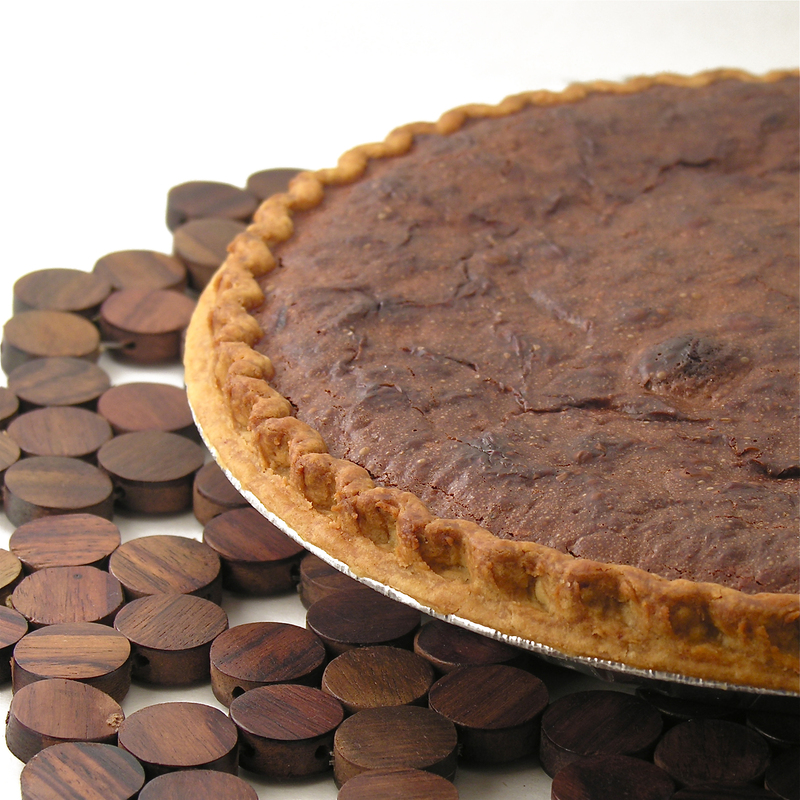 Posted in Pies and tagged baking, chocolate, coconut, Das Dutchman Essenhaus, das dutchmen essenhaus, dessert, food, german chocolate, german chocolate pie, ice cream, pie, pie crust, rich chocolate pie, semi-sweet chocolate, unbaked pie shell, whipped topping. Bookmark the permalink. Ruthanne! I’m glad you beat the flu/sickness you had and are back baking! 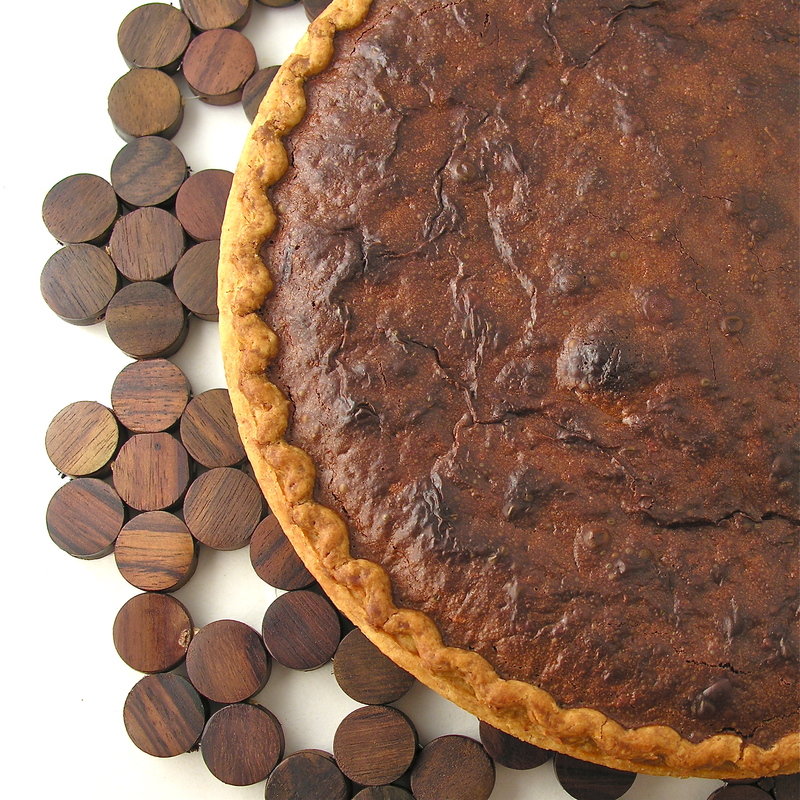 This pie looks beautiful…too decadent to be true! Keep baking dear! Thanks Felicia- I’ve missed you guys too!!! It’s pretty big…! Have you ever noticed that food pictures never use tiny diet-size slices? Lol! Hope you feel better very soon!! Lol- it’s not too hot here- at all!! So fun that you live in New Zealand- it’s a place I’ve always wanted to visit! 😀 you definitely have to see NZ even just once. it’s really nice. Though I’d prefer spring or fall haha. Thank you SO much- wow- he hated that cone terribly! I sincerely hope he never needs one again- but it probably wouldn’t be a bad idea to have a kinder one handy- I wonder why vets don’t offer these as an option? It looks amazing, and so chocolately rich!! Delicious! I am so glad you are feeling better! I love this german chocolate pie. Looks like heaven on a dish!! Looks great and easy! Is the coconut sweetened or unsweetened? 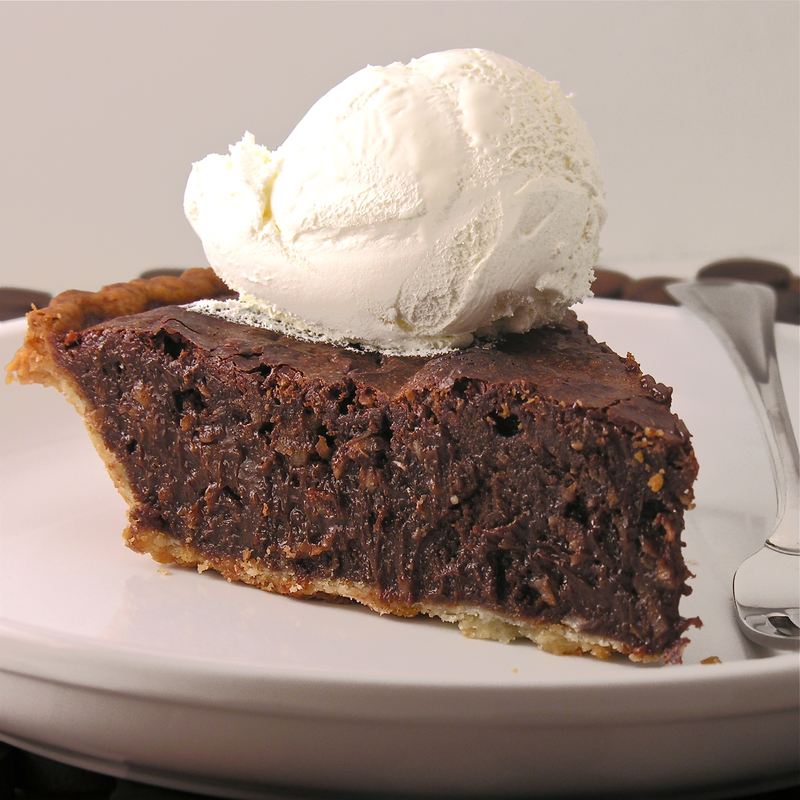 I used sweetened and it tasted great, but the pie is SO rich and sweet that I’m sure unsweetened would work nicely too. That is a gorgeous pie and I bet delicious!! I love that it is deep dish! Your dog is so adorable! I’ve been pinning your site like crazy! Love it all but this pie… oh this pie sounds awesome!! Thank you! It is really yummy…I just love coconut….sigh. Is the coconut required? My husband is allergic, so could I just drop the coconut from the recipe or should I replace it with something else? This pie looks divine!! I’m truly not certain how it would turn out without the coconut..? You could try it though, and let us know.. Allergic to coconut?!? What a sad thing!!! I’m terribly allergic to avocado and it’s soooo sad:(. Good luck! !